Hello! 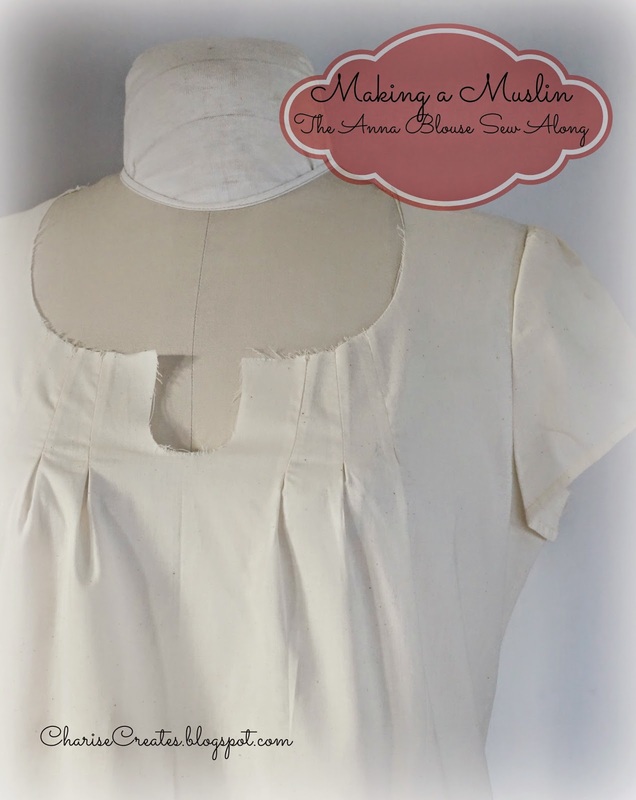 Today I am going to share a bit about making a "muslin" or fitting garment. 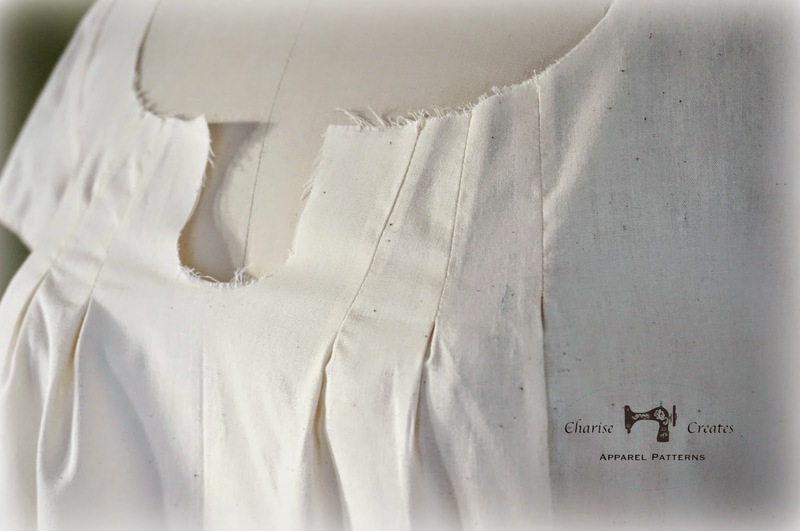 I know, it seems like a pain, but it is really helpful to sew the garment up in muslin or a less expensive fabric before cutting in to your final fabric. That way you can make sure you like the fit of the garment and make any changes to your pattern. It is so nice to have a pattern that fits perfectly. Then you can go back to the pattern time and again to make your perfect fitting blouse. 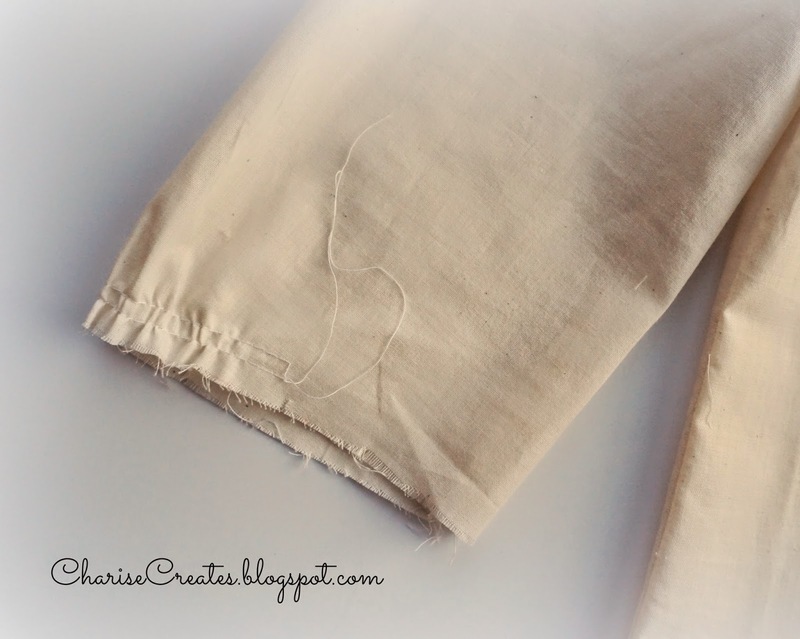 I like to use muslin for my fitting garment, which is an inexpensive cotton fabric. I buy mine by the bolt at Joann Fabrics with a 50% coupon. You can also check the sale area of your local fabric store. I have found some excellent options for cheap! 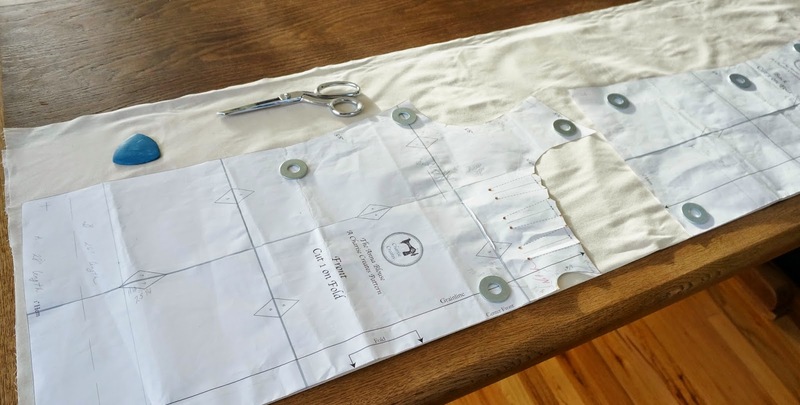 Lay out the pattern as you would your final fabric as per the cutting layout in the instructions. Sew the garment as per the instructions. For the side seams, shoulder seams and under sleeve seams, sew with a 5/8" seam. I did not sew the binding on the keyhole of the neckline. The raw edge will be the finished edge of the binding so the raw edge will give you an accurate position of the keyhole and neckline top edges. Leave the blouse unhemmed and pin to your desired length once you try it on. The Anna Blouse is a longer style which hits at the lower hip but you can pin it to your desired length making it longer or shorter. 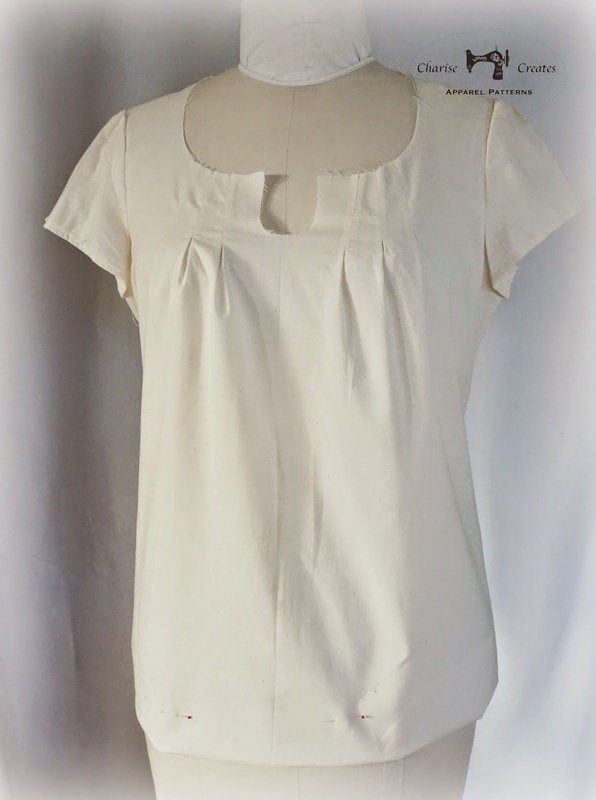 For the Long Sleeve version, when you try on the muslin gather the bottom hem to the desired width. Make sure the width of the cuff binding matches the desired width of the gathered sleeve hem. You can easily make changes on the cuff length by adding or subtracting width to the pattern. Try on the muslin and access the fit. Be sure to put it on with the pants or skirt you will be wearing it with. The most common changes are changes in the width of the pattern at the waist and hips. If you want a tighter fit, pin in the excess. If you want a larger fit, rip out the side seam pin in the new seam lines. Another common change would be to the length of the blouse. Just pin up to the desired length. 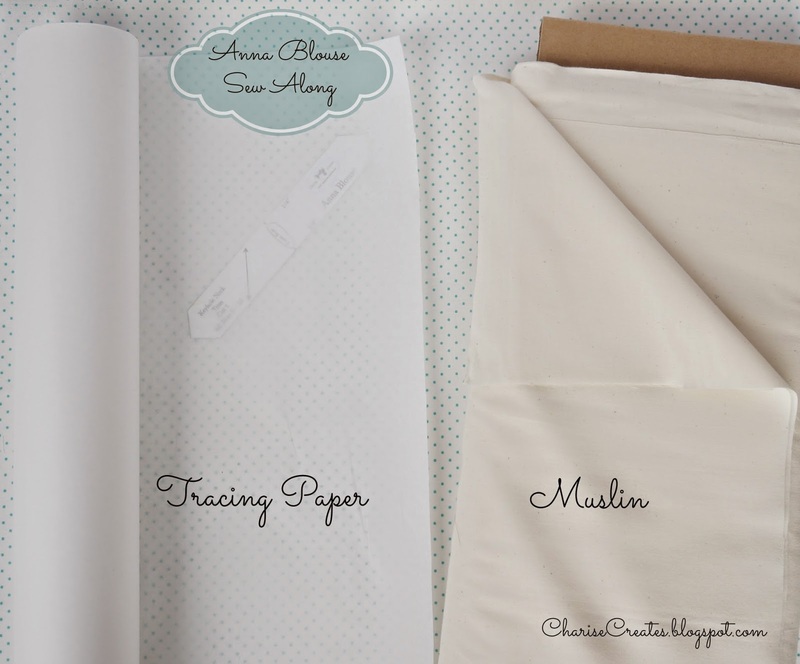 Make any changes to your pattern based on the muslin. I will share a few pattern alterations Monday and Tuesday but it you have any specific pattern alteration questions based on your muslin, please leave a comment on this post and I will address them for all to read!